CrossFit IV knows you’re counting on us to be as organized and thorough as possible for this year’s Open. If we forget something, please let us know. If you have ideas, they are welcome. If this email leaves out something you want to know, please ask Chanel. For WOD advice, ask your coaches, who will be happy to help. Register on Wodify for the 9:30am CrossFit Open session. Change your Wodify “program” to the Open in order to register. Please register asap. Heats have been drafted, but please register so we know for sure that you will be there. CFIV will announce the heats as soon as everyone we believe will be there registers on Wodify. Arrive 15 minutes early to warm up or set up cameras if you are filming. Make sure to meet CF’s requirements for filming. Read the rule book if you have questions. $2,000 in prizes weekly. If you want to win, consider filming. If you cannot make it, advise Chanel ASAP so she can coordinate your makeup. Archie is out of town Monday. Our latest heat might be 11:15am Saturday. To keep Monday’s classes running smoothly — due to the space these WODs require — please try not to miss Saturday if you can help it. Archie will open some Sundays after this week. Review the WOD standards for your division on the CrossFit Open site. Record your scores in your CF Open account asap. There is an App for that. See CrossFit’s game site. Meet at 9am to help set up, discuss WOD standards, and ask any judging questions. Stay as long as you can, but please advise Chanel of when you need to leave, so we can double-check that we have enough judges through all the heats. Advise Chanel if you can judge a makeup on Monday and what time, so she can coordinate makeup appointments. Family and friends are welcome to watch. The more the merrier! Please be mindful to keep to workout floor clear as this Wod takes up a lot of space. You’re welcome to bring snacks, coffee, etc. 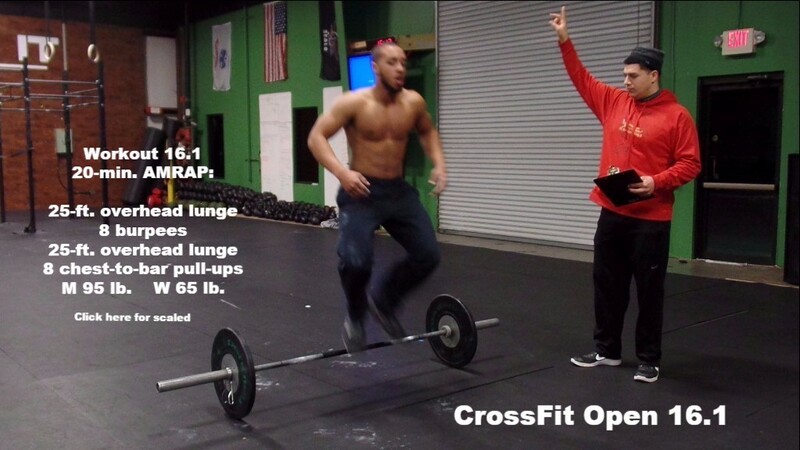 Each week, the length of the Open depends upon the length of the WODs. Drop-Ins: Drop-ins for the CrossFit Open are $20. Please contact us to get into a heat. Take plenty of pictures or video! Instagram #crossfit_iv and there are also tags for the games. Find and use those. On Facebook, we are #crossfitiv.